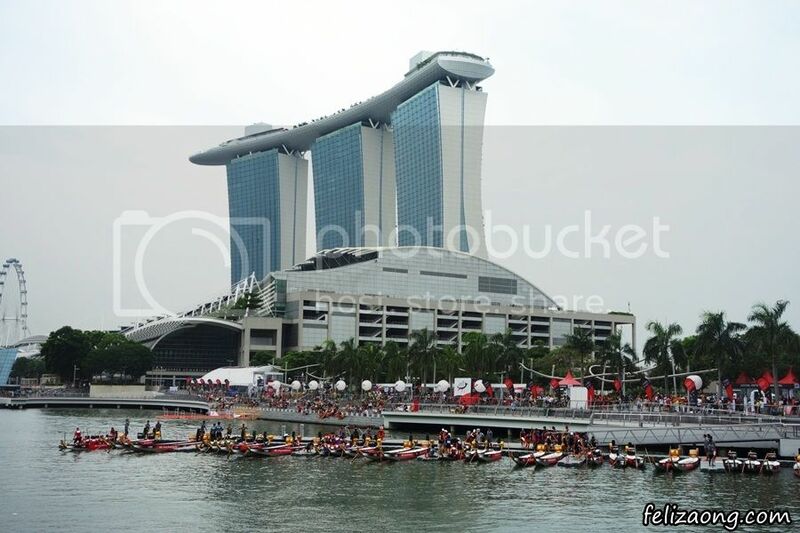 Yesterday, I headed down to Waterfront Promenade @ Marina Bay for DBS Marina Regatta 2013. There were dragon boat races held yesterday (200m race), as well as the whole of today till about 5pm++ (500m race). Catch paddlers from international countries (Including our very own Singapore team! ), tertiary institutions and corporate companies vying to be champions! Overall winners for each of the 8 categories bring home cash prizes! Also, there is the Social Enterprise Carnival where booths are set up for social enterprises to market and sell their products. Do check them out if you will be at River Regatta today! I will be blogging more about this event (with more pics, of cos!). No Response to " DBS Marina Regatta 2013 "